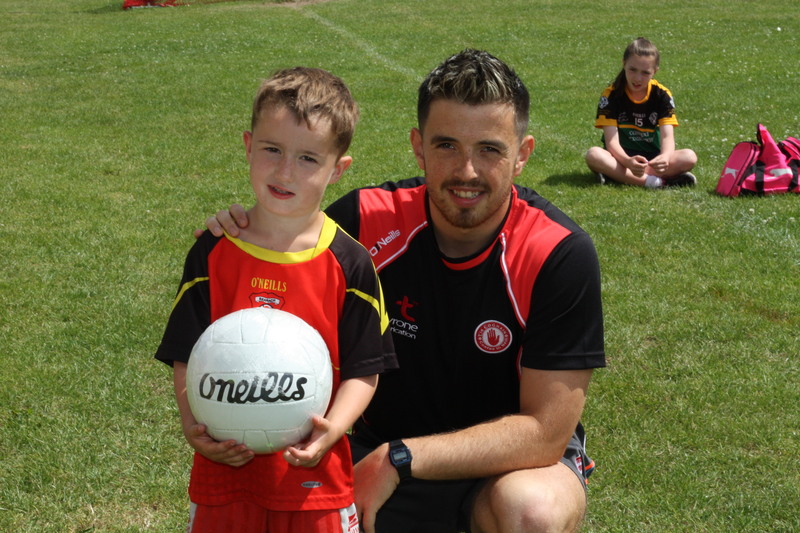 Underage training for under 8,10,12 boys and girls returns at St.Mary’s Park Pavilion this Saturday 6th April from 10am – 11:15am and Wednesdays from 10th April from 7 – 8pm. 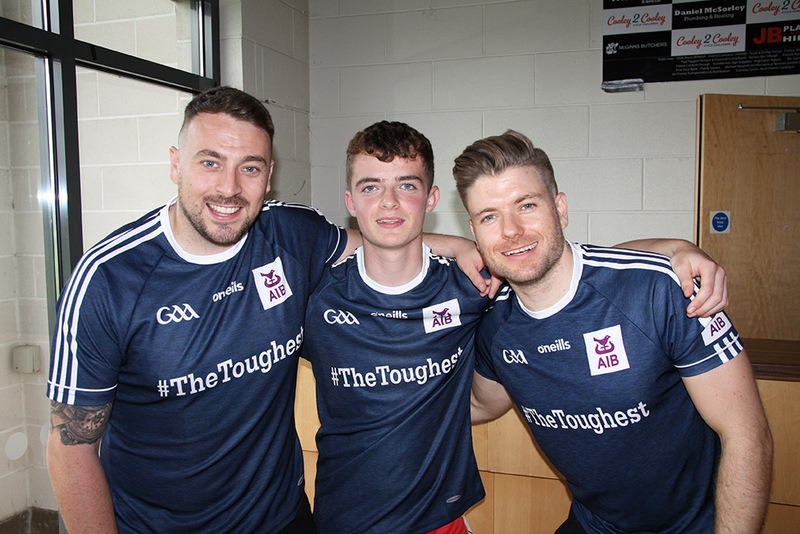 There was much excitement in the Club as Tyrone prepared for the All-Ireland Final against Dublin but to add to the excitement was the arrival of popular comedy duo ‘The two Johnnies’ to Beragh Red Knights pavilion. 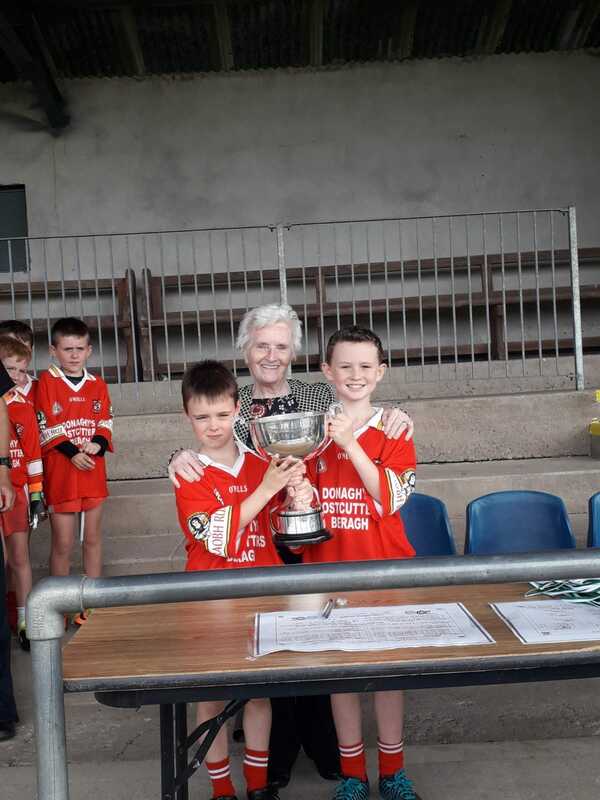 Well done to our U8 Boys and management who the Mickey McGurk Memorial Tournament in Carrickmore. 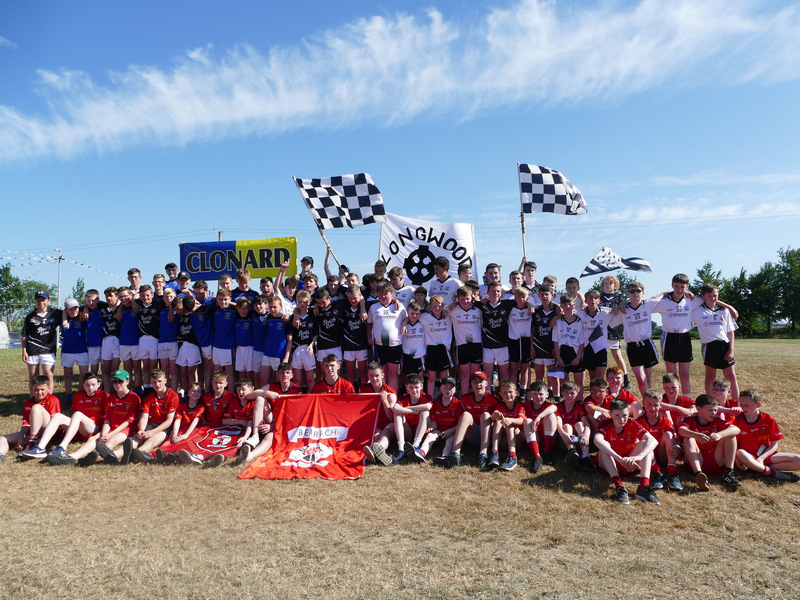 St. Mary’s Park welcomed large numbers of boys and girls to participate in the annual Tyrone Summer Camp thie week. The event was blessed with fine weather all week and we would like to thank all the children who were very well behaved and to the parents/guardians for bringing the children along. The Club wishes to thank all who helped ensure that the Paddy Bogan Tournament 2018 once again such a great success. Thanks to all who gave up their time to help with teas, act as a referee, linesperson or umpire. 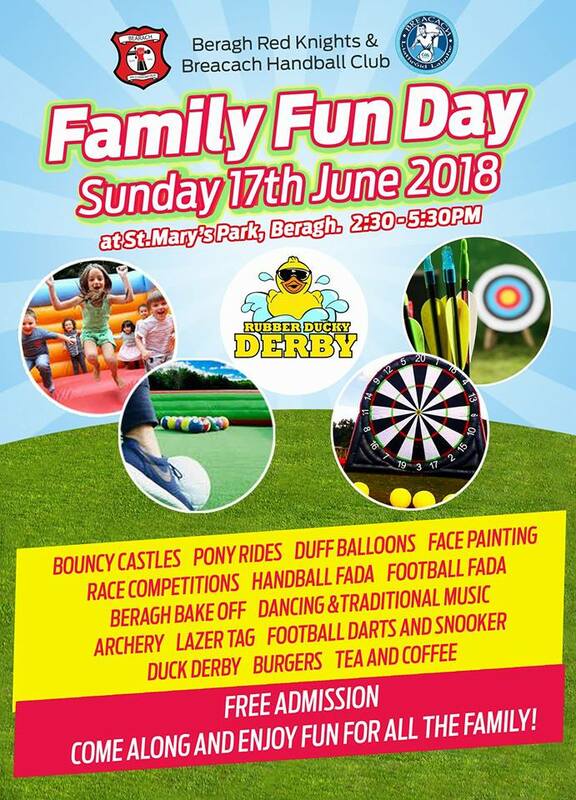 Another great Family Fun Day 2018! On Sunday we held our Family Fun Day. Beragh Red Knights Child Protection Course – Wed 4th April. 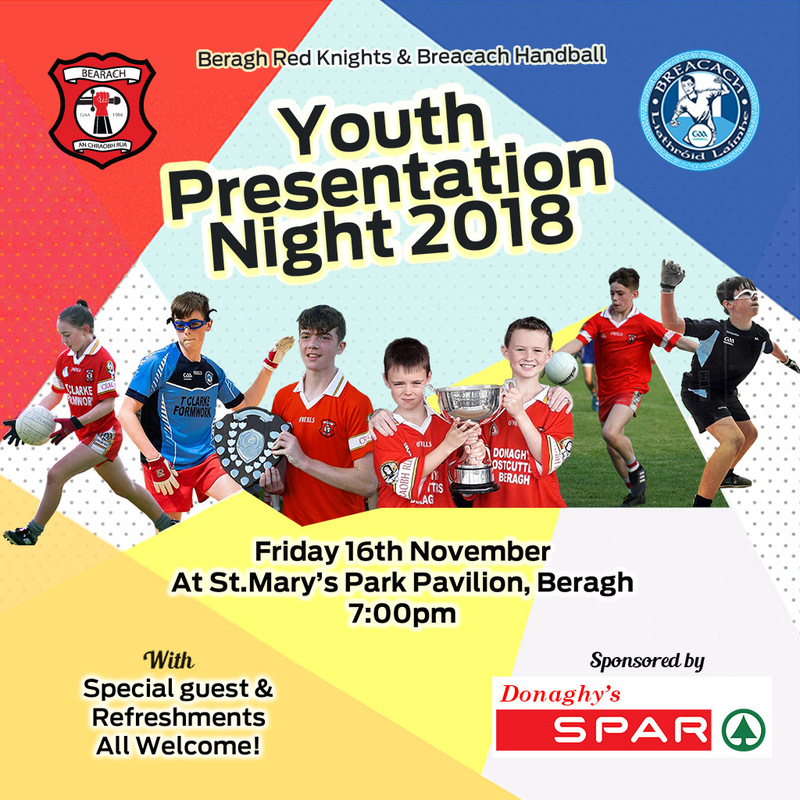 Beragh Red Knights and Breacach Handball Club Child Protection Course 2018. All coaches and personnel working with children or young people should undertake the necessary training required by the GAA through attending Child Protection training and being inducted into the procedures of the GAA. This training is required every 3 years. Underage Training and Gaelic Start are Back! 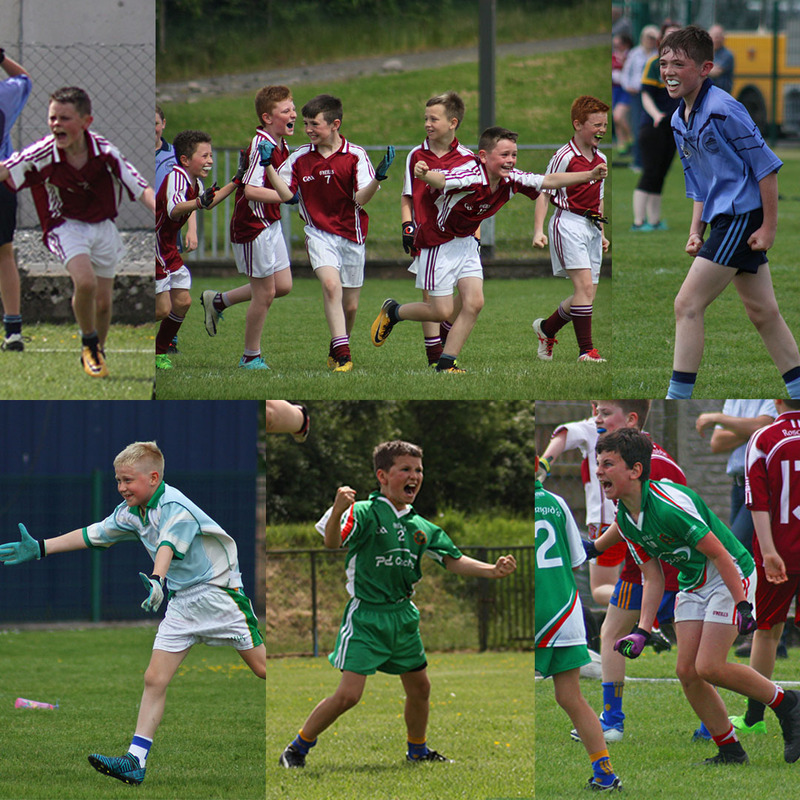 Underage training for under 8, under 10 and under 12 boys and girls returns on Satruday 7th April at St.Mary’s Park Pavilion from 10am – 11:15am. Aditional training sessions will take place on Wednesdays from the 16th May between 6:30 – 7:30.